Need Some Culture? Adults and Kids Can Learn About Opera at Operamania! Boulder Opera Company presents – Operamania! This lively performance of opera scenes introduces children of all ages to the wild world of opera. Created by Douglas Kinney Frost, Operamania! appeared for two seasons on PBS, and has been performed over 10,000 times! Operamani is an exciting, hour long romp through the world of opera, introducing everything from voice types to recitative. You and your children will be transported through opera history, with scenes from La Cenerentola, Porgy and Bess, Regina, Carmen, The Magic Flute, and more! Whether you are five or one hundred and five, Operamania! can’t be missed! The Boulder Opera Company is bringing innovative opera to Boulder. Their latest production is Vanessa by Samuel Barber. You can see their latest show at the Dairy Center for the Arts. Vanessa is playing February 28 — March 2, 2014. Tickets are on sale. Learn more about Vanessa and purchase tickets here. Don’t forget to get your tickets to take the whole family to see the Mozart’s Magic Flute presented by the Boulder Opera Company. This relative newcomer to the Boulder arts scene has already pleased many audiences and works to make opera relevant to children. The Magic Flute is their latest production and will play from December 8 through 15 in Boulder and Broomfield. More information and to purchase tickets go here. The Magic Flute Is In Town! Take the whole family to see the Mozart’s Magic Flute presented by the Boulder Opera Company. This relative newcomer to the Boulder arts scene has already pleased many audiences and works to make opera relevant to children. The Magic Flute is their latest production and will play from December 8 through 15 in Boulder and Broomfield. More information and to purchase tickets go here. La Sylphide, one of the oldest surviving Romantic ballets, is captured in cinematic glory and here in Boulder’s art house theater. A beautiful fairy disappears into the mist – how will the amorous farmer find her again? And what will his fiancee think of all this? 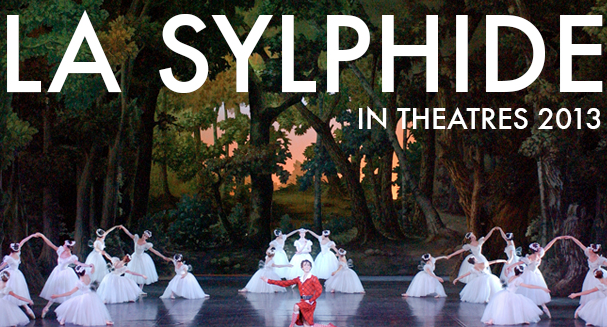 La Sylphide features an all-star cast including Aurelie Dupont and Mathieu Ganio.